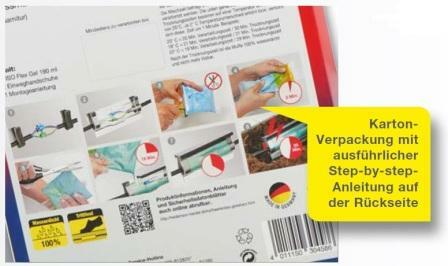 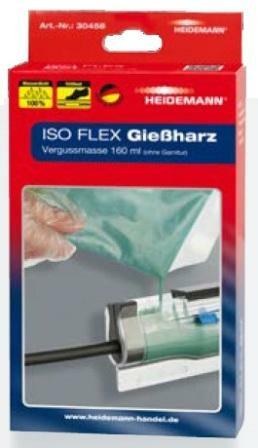 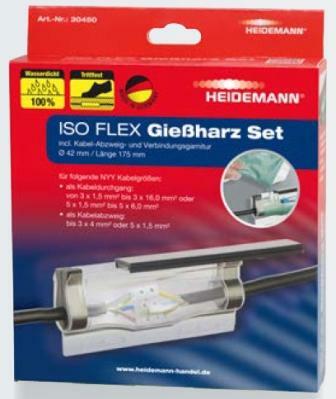 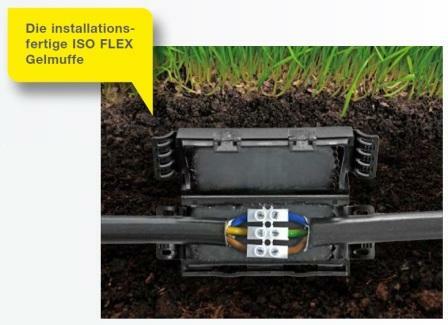 ISO FLEX offers solutions for electronic installation - water proof quality made in Germany. 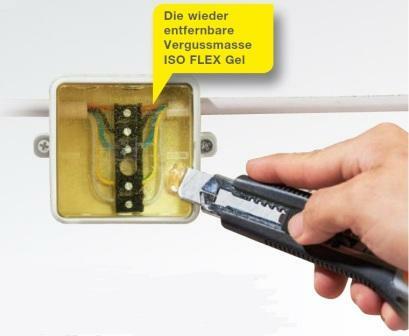 ISO FLEX resin and ISO FLEX gel take care of safe branch-off and pass through at permanent wet or extra stressed fitting places, e.g. 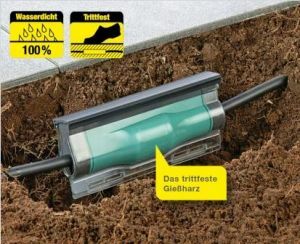 vibration. 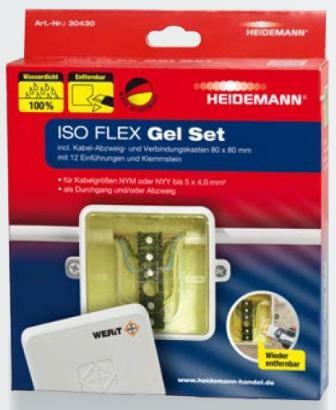 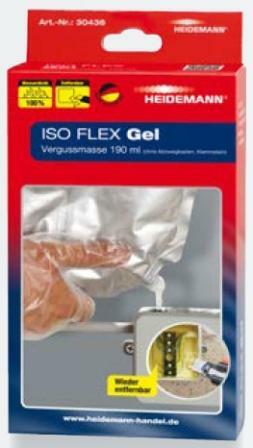 Available as resin or gel in double room bag, as useful sets including connecting bushing or branch-off-boxes as well as ready to install gel sleeve.